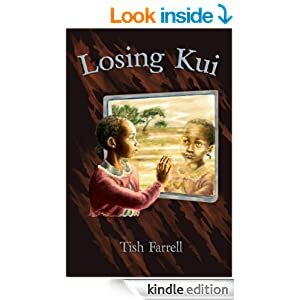 Posted on September 20, 2018 September 20, 2018 by Tish Farrell	This entry was posted in Environment, Travel and tagged #InthePink, Dubai, East Africa, the Swahili, Tish Farrell Writer, UEA, wplongform. Bookmark the permalink. Well written and thought-provoking. Glad I read this. Thanks for writing it. Thank you, kindly Thom. The tax haven scam is a huge issue for both our nations. It affects all of us and the current politics. From a personal standpoint, the tax evasion issue, in NZ, annoys me because it means that ordinary people, minding their own business people, are now saddled with bureaucratic requirements emanating from the NZ Anti Money Laundering regulations. Supposedly, all the new regulations will catch the naughty people. Personally I don’t see that happening. What I know is happening is that I am filling out endless papers, identifying and certifying my identity, getting docs apostilled etc just to settle my father’s relatively small estate; time-consuming and expensive. While I make my way diligently through everything required by state and banks, I know for sure the big fish are already off swimming free. That doesn’t mean we shouldn’t try to bring the tax evaders to justice; we just need more effective methods than show piece legislation. I so agree with you, Ann over that last statement., and everything else. The Brit tax evasion investigator from the Tax Justice Network said of the hundred or so big evaders’ accounts he looked into, every one of them involved some sort of illegality. As we little people jump through hoops, the official aim is presumably to convince us that the matter has been dealt with. I found this very interesting. Thank you for inside insight. Beautiful photos and an excellent thought provoking piece. Thank you Tish as always for making me stop for a moment and think. Off now to explore that link. Every week there’s a new scandal in Kenya. At least there is a thriving press to report it all. Corruption remains rife. Yep. Their press seems pretty good these days. They report stuff certainly. And then, well, nothing seems to get done about it – a bit like hiding things in plain sight. Are you back there or still caring for the ‘Ageing Ps’. A very good post, Tish. A lot of the issues you brought up here are important to me, and I’ve been thinking about them quite a bit in recent years. I can imagine how difficult it was to write, because each issue brings up more problems and questions, so one is always challenged when writing about corruption, how much we can describe before we start losing the attention of the reader. What has disturbed me the most in recent years is the consumer culture and economy. Though I do believe in a maximum of individual freedom, the intensive sell which is part of the consumer economy, has turned almost all classes into slaves. Not only does it endanger the environment, but it creates an irrational dependence in the average citizen. There are solutions for some of the more primitive forms of corruption, but it is very difficult to influence people to change personal habits and life styles. Still, I have faith in the ‘horse sense’ of simple rational people. I would like to hold out hopes for the horse sense, Shimon (and thank you for all these thoughtful observations) but now I’m not so optimistic. We have been so hoodwinked by our own establishment in the UK, that few of us know which way is up. Brexit is but another of the distractions to keep us thoroughly confused, and who knows where that will land us. In the meantime shopping provides a marvellous distraction. Whether we like it or not, whether we admit it or not, we all find ourselves in the same moral dilemma. The minute we decide to do something about the injustices at home or abroad, we discover that doing so we are working against our own self-interests. You described the moral entanglement very well, Tish. You hit the nail on the head absolutely, Peter. Whether we like it or not, we may find ourselves complicit, and attempts at extrication are unlikely to be comfortable. Well Jo, it’s so easy to beguiled in places like the Maldives when someone has put so much time and money into laying on what seems the perfect, blissful upscale destination. And of course the Maldivians have their own futures to consider -i.e. how many of their islands will ultimately survive being at sea level, and many without fresh water. They do in theory control tourism development, as every developer investor has to have a local partner, but even so, not sure what they’re going to do with all the rubbish. There will be all the plane left overs as well. The good thing about concrete ocean silos (earthquakes not withstanding) is that corals colonise the cement, so in theory it might be possible to make a new reef based on garbage. Tho sounds a bit iffy to me and I haven’t kept up to date with current practice. Peter’s comment spots it for me, and one reason why I try to simply switch off.Yes, this might be the Ostrich Syndrome but there is only so much a body can do/can take. I do what I’m able within my very limited sphere of influence and refuse to allow all the other nonsense to weigh too heavily. Nice post, all the same. The thing is, this tax dodging is so huge, it impacts on everything and everywhere. I understand fully …. remember, we had recently ”got over” Zuma and all that entailed, not least of which was the Arms Scandal. I beleive there comes a point where one must , or at least try to – believe that what goes around comes around. Yes, rotten is always there, but there’s enough good to keep you smiling and…. please excuse me for this … have ”faith” in humanity. Faith, Ark? Yes. I’m having to do a bit of a smile here. An interesting piece Tish. I just can’t see where all this obsession in wealth and materialism is going to lead us other than to a totally destroyed planet. I can quite understand why Ark buries his head. Very interesting writing Tish, I found it very informative. I only saw a video of Dubai yesterday of the new hotel and it is just unbelievably luxurious. I was in Dubai once, only for about 8 hours between flights, and saw both the poorer area and the hugely luxurious buildings and shopping malls. What opulence, what is the need for all this one wonders. I think it must become addictive if you’re exposed to it all the time. The Emirates seem extraordinary in their pandering to consumption. These days, I feel everything is something of a moral dilemma. There’s not black and white today if there ever was. There’s no “entirely good” though personally, I think there IS entirely bad. Love when you call it like you see it Tish. Your post reminded my favorite quote from the 1981 movie My Dinner with Andre “They’ve built their own prison, so they exist a state of schizophrenia. They’re both guards and prisoners and as a result they no longer have, having been lobotomized, the capacity to leave the prison they’ve made, or to even see it as a prison.” I still believe that we create the world in which we live and that we have the power to change it. The tax justice network is a good place to start. The Maldives hasn’t changed much since your visit, but there is a greater access to people given the sadly short reign of Mohamed Nasheed. Oh what a tangled web we weave, whether trying to deceive or not. We humans really do bumble along in appalling thoughtlessness and/or apathy don’t we? And yet on a personal day to day basis I do believe people are good, and kind, and just want to care for their families. The rich and powerful it seems to me are scared to death to lose their wealth and power, as if that’s what keeps them safe. I think we are all amazing in our creativity, whether from fear or love. Wonderful thought-provoking post Tish. Many thanks for you thoughtful observations, Alison. I think you’re right that ordinary people don’t mean to be thoughtless; I also think too that much of what is happening presently in the world, and the way it is being presented to us in the media, is down to the ultra-rich trying to hang on to their money empire. Yes exactly that. I think it’s driven by a kind of insanity that arises from a deep fear that they are not remotely aware of. And they only mix in circles where their inclinations are mirrored and egged on. Moral dilemmas are to the forefront in my little head. To my horror I discovered NZ is in the middle of a very big one, and, even more to my horror, I was ignorant of it until last week. https://www.stuff.co.nz/business/farming/106331828/nz-cant-shake-its-dangerous-addiction-to-west-saharan-phosphate From this you may see why I think Anti Money Laundering regulations, in their present form, are a bit of a side show. This just awful – not only the pillage but also the horrendous pollution of NZ soil. Totally MAD. Oh no! It is worrying though isn’t it. One is brought up to be proud of one’s country – one way and another, and then you discover the powers that be either want to steal from you, send you to war, or poison you, and whereas at one time this might have seemed like a bad Monty Python sketch, or that one had been blitzing out on conspiracy theories – now it seems there is nothing that some people will not stoop to, while passing it off as perfectly acceptable. And since we are approaching the centenary of 1918, I am further asking myself why am I remotely surprised. 😦 😦 On the plus side, I do believe that in NZ, at least, we have a PM who is genuine and who is determined to right wrongs. But that will take time. Yes, that is hopeful. More power to her! Neither are destinations I’d choose and I doubt you’d go back? No, we wouldn’t, though I have to say our night in the desert was rather fine. Our driver guide was a Tanzanian and so we were treated to lots of insider gen. Moral dilemma. A commodity on the rise, is it not? Indeed. Just about everything is these days. My brother and sister-in-law were in Dubai last month. My sister-in-law said she felt as if Dubai was a very artificial place. Life is the same everywhere, isn’t it? That is a good point – the everywhere artificiality of man-made environments. I suppose in most cities the development is more gradual and reflects at least some local culture. 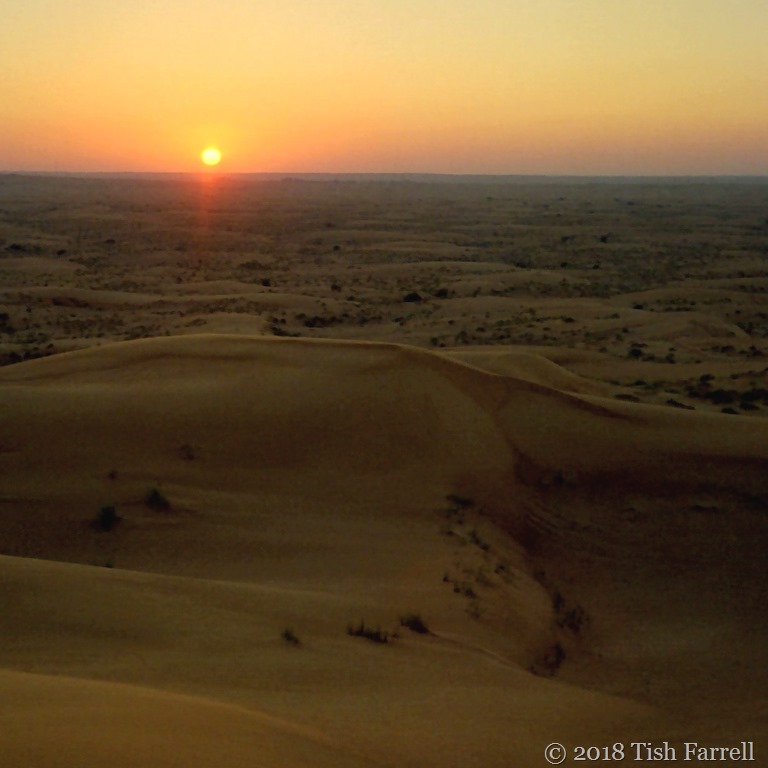 Whereas Dubai, away from the Creek, seems to have been created on an epic scale – and mostly to serve expats and tourists.